Product contains milk, peanuts, wheat, soy, almonds, pecans, hazelnuts, Brazil nuts, macadamia nuts, pistachios, and cashews. Produced in a facility that also processes egg and other tree nuts (coconut, walnuts). 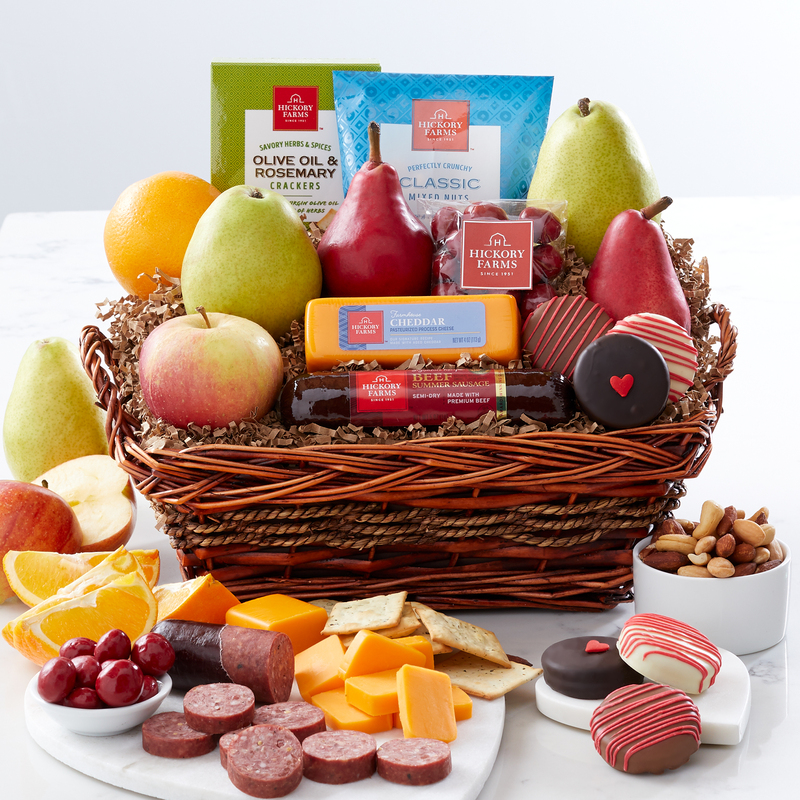 Give your sweetie the gift of the perfect snack with this cute basket filled with Signature Beef Summer Sausage, Farmhouse Cheddar cheese, a selection of fresh fruit, chocolate cherries, savory mixed nuts, and gourmet cookies.